Oru Adaar Love star Priya Prakash Varrier has not signed any film apart from Sridevi Bungalow. Success is a double-edged sword. If not handled well, you will be relegated to obscurity in a blink of an eye, especially in a film industry where every Friday new stars are likely to be born. 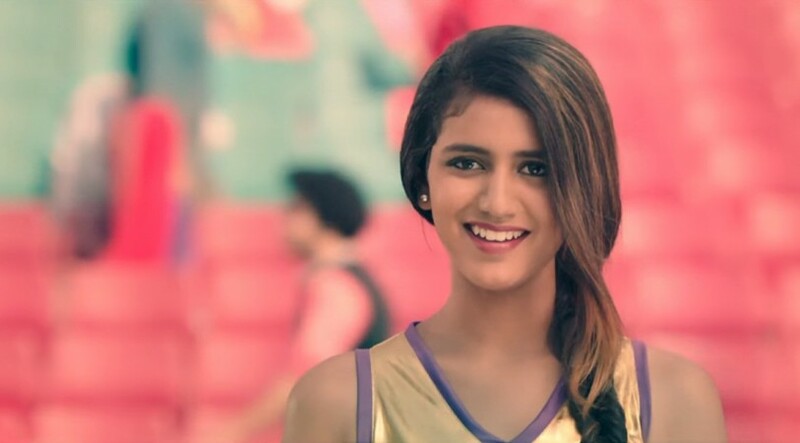 And one celebrity in the recent memory who has struggled to handle success is Priya Prakash Varrier. Priya Prakash had become an internet sensation with her wink. After the song from Oru Adaar Love went viral, she became a household name not just in Kerala, but across the country and parts of the world. Her Instagram account had a record number followers and she was flooded with quite a few endorsements. Even before her first film release, Priya Prakash became a favourite name among gossip mongers as her name cropped up every now and then about playing female leads in big-banner movies. From Rohit Shetty's Simmba to Suriya's Kaappaan, her name was linked up with many projects. All these developments had given an impression to the people that she would be the next big name of South India. As a result, the young girl, who was roped in to play a small role, was made the heroine and the script was entirely changed to cash in on her popularity. Oru Adaar Love, after much delay, saw the light of the day in multiple languages but failed to strike a chord with the viewers. As a last attempt to save the sinking ship, the makers went on to change the climax, yet it did not make any difference. As they say, success has many fathers, failure has none. It turned out to be true here as the people associated with the movies started blaming each other after the film's release. Omar Lulu lashed out at Priya Prakash and spoke about the newbie's changed behaviour once they got popularity. On her turn, she hit back at him on Instagram by posting, ""If I begin speaking the truth, some people would be in trouble. Why be like them? I am remaining silent because karma (with stress) will speak no matter what. And that time is not far away." Between all these developments, she continued to enjoy the same popularity, but it failed to translate into offers. Since she became an internet sensation in February 2018, she has signed only one film in the form of Sridevi Bungalow. Her character in the film had close resemblances to legendary actress and the film landed in controversy. It is a Bollywood movie, which has already landed in trouble as Boney Kapoor, husband of Sridevi, has slapped the makers with a legal notice. The last thing a budding actress would want is to rub the big people in the film industry in the wrong way. Bollywood is a synonym for nepotism and a relatively green taking up a character, which has similarities to Sridevi, will only make the matters worse as doors of the Hindi film industry might be closed forever for her. Even in Kerala, the picture is not rosy for her due to all the negative publicity. It looks like she has struggled to handle success and controversies have ruined good prospects coming her way. Apart from getting trolled for her comments and acts, filmmakers have apparently not taken her seriously. Thus making the cine-goers wondering whether her career is virtually over. Or does she have the fire to fight back all the odds and prove her critics wrong? Only time will answer.